Calling all undergraduate students with a passion for African Studies! The Institute of African Studies (IAS) at Carleton University is hosting its 5th annual undergraduate research conference on Saturday, October 5th, 2019 at Carleton University, Ottawa, Canada. This years’ theme, Globalization, Media and the African City, provides students a fascinating interdisciplinary and creative lens to explore the intersections of everyday life, urbanism and the future of Africa the context of globalization. We must not limit our understanding of the city to the physical but extend it to the imaginaries propelled by culture and urban design. The media, globalization, popular culture, and industrialization are continuously influencing the urban space, and this conference seeks to examine the intrinsic and synergic relations between Globalization, Media and the African City. undergraduate students interested in participating in the conference are encouraged to submit an abstract by July 6th, 2019. The abstract should be between 250 and 400-word for a final paper suitable for a 20-minute presentation. For more information, please email the organizing committee at communications.iasconference@gmail.com or follow us on Twitter @IASSACarleton or Facebook at the Institute of African Studies Student Association -IASSA for continuous updates. Dr. Frank Mattheis is a Research Fellow at the Institut d’études européennes at the Université libre de Bruxelles (Belgium) and Associate Researcher at the Centre for the Study of Governance Innovation, University of Pretoria (South Africa). He works on governance structures beyond the nation-state in the fields of comparative regionalism and interregionalism. 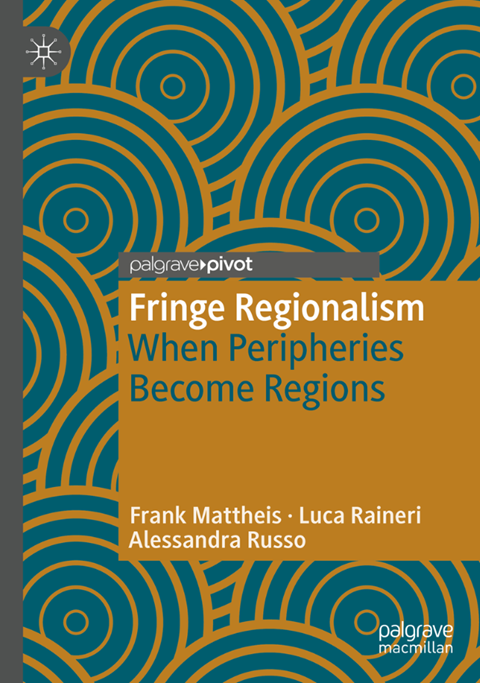 Abstract This new book introduces the concept of fringe regionalism to the field of international studies. It challenges the conventional understanding of regionalism as formal intergovernmental organisations driven by nation-states and examines how regions are practiced by peripheral borderlands rather than centrally planned. Two in depth case studies, the Sahara and the Caucasus, provide the real-life application of the concept. Exploring the overlap of competing demarcations, extra-legal economies and cross-border identities steers the empirical approach towards a regionalism that emerges at the fringes of states. Understanding the central role margins play in producing regions relativises the preeminence of regional organisations but also uncovers how formal and informal practices are intrinsically interwoven. FinDev Canada opened for business in January 2018 with a mandate to support the growth and sustainability of businesses in developing markets. FinDev Canada aims to help create jobs, promote women’s economic empowerment, and contribute to a cleaner and greener environment. By filling the gap between commercial support and development assistance, FinDev Canada intends to bring financial strength to businesses in developing markets that will in turn create stability and prosperity for local communities. At FinDev Canada, Yolanda Banks is responsible for stakeholder relations. She previously worked at Export Development Canada (EDC) on Corporate Social Responsibility (CSR) issues, and for many years at the Canadian International Development Agency (CIDA) and the then-Department of Foreign Affairs and International Trade (DFAIT). She is Board Chair at the Trade Facilitation Office of Canada and holds an MA (International Affairs) from the Norman Patterson School at Carleton, and an MBA from the University of British Columbia. The planned ASG presentation in February by FinDev Canada’s Managing Director, Paul Lamontagne, had to be cancelled due to the weather. We hope to be able to meet with him at a later date. Our subsequent event will be on May 1, 2019 and will be a panel discussion on Canadian trade with Africa. Le Groupe de réflexion sur l’Afrique est heureux d’annoncer que sa prochaine rencontre sera “FinDev Canada : le plus récent outil dans la trousse pour la coopération internationale du Canada ” avec Yolanda Banks, conseillère principale, Affaires générales, à FinDev Canada. FinDev Canada a ouvert ses portes en janvier 2018. Son mandat consiste à soutenir la croissance et la durabilité des entreprises dans les marchés en développement. Il contribuera à créer des emplois, à promouvoir l’autonomisation économique des femmes ainsi qu’à favoriser un environnement plus propre et plus vert. En comblant l’écart entre le soutien commercial et l’aide au développement, FinDev Canada souhaite apporter une solidité financière aux entreprises des marchés en développement, renforçant ainsi la stabilité et la prospérité des collectivités locales. À FinDev Canada Yolanda Banks est responsable des relations avec les parties prenantes. Auparavant, elle a travaillé à Exportation et développement Canada (EDC) sur la responsabilité sociale des entreprises, et à l’Agence canadienne de développement internationale (ACDI) et au Ministère des affaires extérieures et du commerce international (MAECI). Elle est également la présidente (bénévole) du Conseil d’administration du Bureau de promotion du commerce Canada. Elle est titulaire d’une MA (affaires internationales) de l’École Norman Patterson de l’Université Carleton et d’une MBA de l’Université de la Columbie-britannique (UBC). La présentation de Paul Lamontagne, Directeur général de FinDev Canada, planifiée en février, a dû être annulée à cause de la météo. Nous espérons pouvoir le rencontrer à une date ultérieure. Notre prochaine rencontre aura lieu le 1ier mai 2019; ce sera un panel sur le commerce entre le Canada et l’Afrique. AAUD will bring together a cohort of 8-10 post-fieldwork doctoral students exploring diversity in African cities to refine their research focus, promote professional development, and build trans-national scholarly communities. Half of each cohort will be reserved for scholars enrolled in doctoral programs at African Universities, while the other half is open to scholars of urban Africa based elsewhere. Each cohort will meet in two intensive workshops. The first week long workshop, to be held at the University of Witwatersrand from November 4-8, 2019, combines advanced seminars on theories of the urban, migration, and diversity by leaders in the field; peer workshopping of dissertation plans; professional development; and international networking. In the second workshop, held in Europe, one year on, fellows convene to present their work and organize a seminar for the incoming cohort of fellows to kick off the next round.. Applications should be written in clear, intelligible prose, for a selection committee that is multidisciplinary. Dissertation summaries should display a thorough knowledge of the major concepts and theories in applicants’ discipline and related fields and should include a bibliography relevant to the research. In their letter of interest, applicants should specify why they wish to attend the academy, and how they expect it to further their progress in completing their dissertations. The Fifth International Symposium of the Dakar Institute will focus on the different ways in which the concept of the critical thinker-doer could best be materialized. Participants from various geographical and professional origins will try and think about how research could help deepen our theoretical knowledge in various fields of inquiry, but at the same time generate the skills and know-how that decision-makers need as well as communities, people in business, and non-profit organizations. 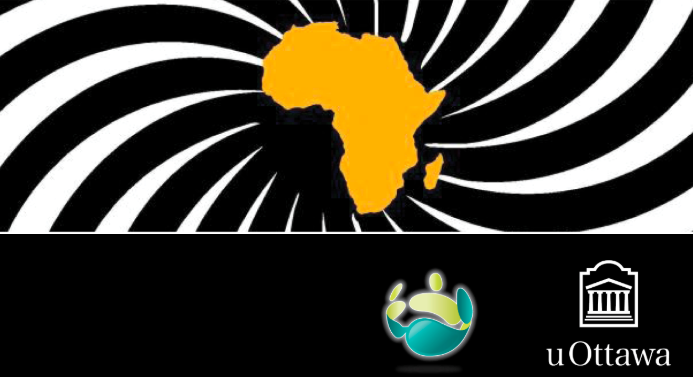 How could the « critical thinker-doer » concept impact Africa’s destiny? Participants will begin evaluating research in and on Africa, and the conditions under which it happens. Does research create useful knowledge for society? How could we measure this impact in light of the huge financial resources and energy invested in research? What should be the relationships between fundamental research, applied research, and action research ? Would it be contradictory to the mission of universities and to the promotion of critical thinking to provide our students with skills necessary to solve real world problems? Where does knowledge on/by Africans (Hountondji) fit in research and teaching in our universities? How best could the scholar work with and for communities when their representation of the scholar is not conducive to collaboration? The Human Rights Research and Education Centre (HRREC) at the University of Ottawa is inviting the general public to an upcoming social justice and human rights-themed conference taking place at the University of Ottawa. “Persons of African Descent: Recognition, Justice and Development” is a one-day conference organized by the HRREC and will take place on April 6, 2019. We’ll be discussing the International Decade for People of African Descent (2015-2024), and particularly we’ll be exploring how we can obtain recognition, justice and development (the themes of the Decade) for African and African diasporic peoples. Date: Saturday, April 6, 2019 | 8:45 a.m. to 6 p.m.
development, the Conference seeks to examine the historical and contemporary connectivity and solidarity between African groups and individuals in the Diaspora and their homelands. 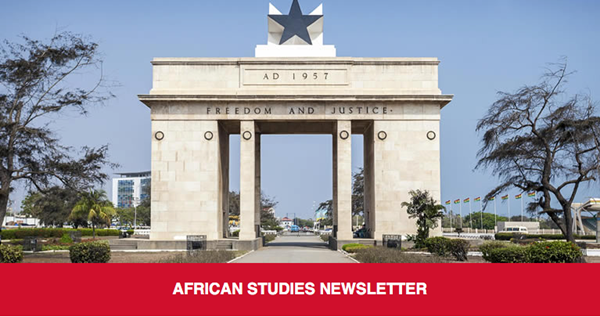 In particular, we invite papers that deal with the social, political, cultural and economic transnational connections between African Diasporas and their homelands. Moscow the Institute for African Studies of the Russian Academy of Sciences, in co-operation with the Research Council for the Problems of African Countries, holds the 15th African Studies Conference titled Destinies of Africa in the Modern World. The Conference main events will take place on the premises of the Institute for African Studies of the Russian Academy of Sciences. The working languages are Russian and English. The Organizing Committee have considered all the panel proposals received by it. The list of accepted proposals can be found below. The deadline for paper proposals (in the form of abstracts within 300 words in Russian or English) is November 15, 2019. The proposals should be sent directly to the respective panel convener(s) who is (are) to inform the applicant about his (her) application’s fortune by December 1, 2019 – the date by which the panel conveners are to submit their compiled panels to the Organizing Committee.